The lower price of gold has finally taken its toll on U.S. gold production. The lower price of gold has finally taken its toll on U.S. gold production. Domestic gold mine supply fell considerably in May compared to the same period last year. 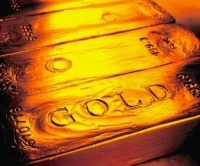 This is a significant amount as the United States is the fourth largest gold producer in the world. For the first five months of the year, (Jan-May), U.S. gold production is down 10%, from 85.3 mt in 2014 to 76.9 mt currently. The majority of declines came out of Nevada. 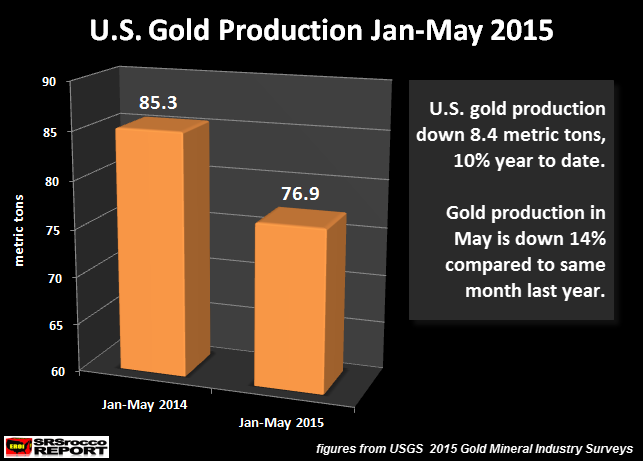 Gold production in Nevada fell from 61.8 mt Jan-May 2014, to 56.1 mt this year. 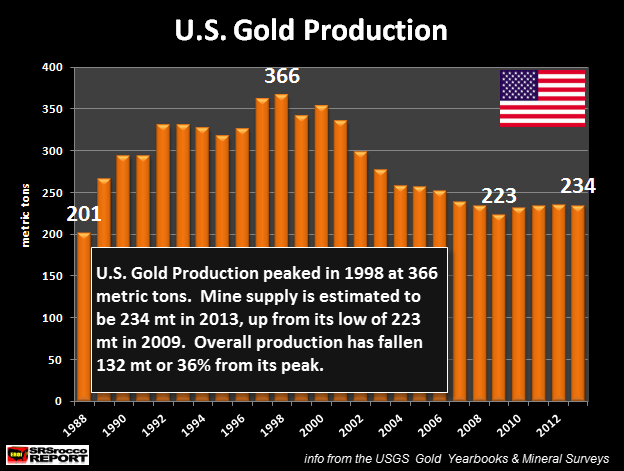 If current trends continue, U.S. gold production will fall below 200 mt in 2015. Last year, the U.S. produced 210 mt of gold (according to the USGS), so a 10% decline would amount to 21 mt. Thus, overall U.S. gold mine supply could fall to 190 mt in 2015. I don’t have the figure for 1987 in the chart, but it was 154 mt. Basically, U.S. gold production hasn’t been this low for nearly three decades. That being said… does it really matter? According to the clowns on CNBC, gold is just a barbarous relic. Furthermore, the U.S. continues to export more gold than it produces and imports. With Americans consuming nearly double the amount of gold jewelry (47.5 mt) than physical bullion investment (24.2 mt) in the first half of 2015, who needs the barbarous relic anyhow?? Which is why the U.S. continues to show a trade deficit when it comes to gold. Unfortunately, Americans will be the last to realize the powerful monetary and store of wealth properties of gold. As the Chinese and Indians continue to consume nearly 100% of global mine supply… there is very little left over for Western investors who prefer highly leveraged debt based paper and digits.